Thor and Loki’s fraught sibling relationship is probably one of the most beloved character dynamics in the whole Marvel Cinematic Universe, as fans have got to see them go from nemeses to unlikely allies to brothers in arms against Thanos. This incredible bond could have been complicated, however, if the original plans for 2011’s Thor came to pass, as the Thunder God was going to have a second brother. 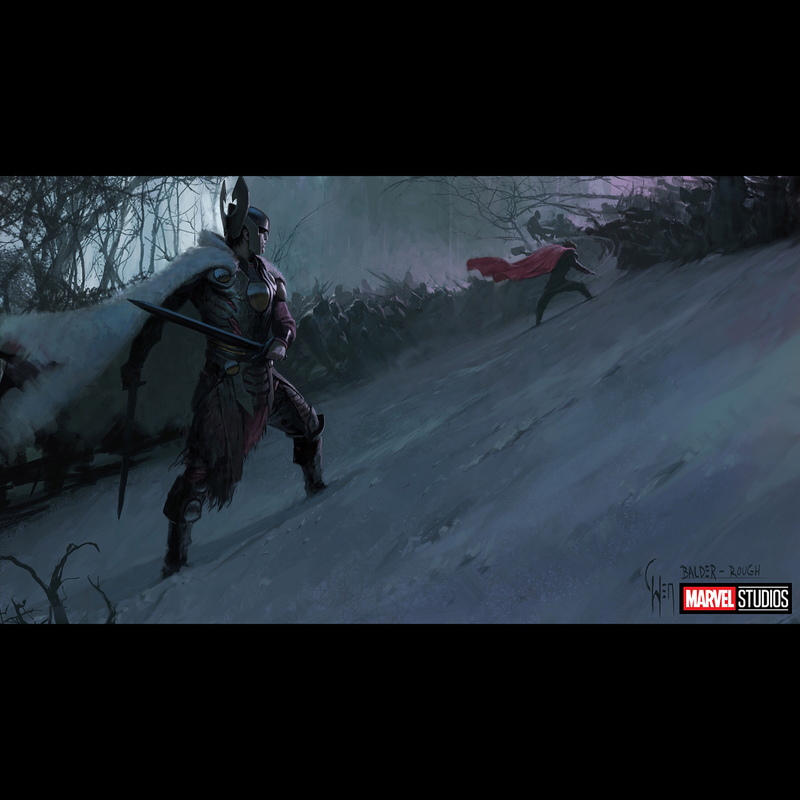 Concept artist Charlie Wen, co-founder of Marvel’s Visual Development department, shared some art on his Instagram page which revealed that Balder, another god from the original Norse myths, was initially supposed to appear in the Asgardian Avenger’s origins movie. As Wen hints at, Balder was likely taken out of the movie to streamline things. There were a lot of characters for audiences to get used to in what was already the most ambitious, out-there film in the MCU to that point, so it makes sense that a third child of Odin was left on the cutting room floor. It’s difficult to imagine a sizeable role for the other Asgardian god in the narrative, too, so it’s probably for the best that he was removed. In any case, Thor and Loki did get another sibling in Ragnarok in the form of the amazing, scene-stealing goth goddess that is Hela. It’s possible that Thor 4, if it ever happens, could explore the God of Thunder’s family even more and dig deeper into the mythology, so I guess there’s a chance that Balder might get his moment in the spotlight, after all.